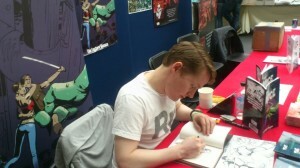 Nice picture of me drawing sketches at the Kapow Comic convention on the Scar Comics table. Back in the saddle after a bit of time off due to a bug. 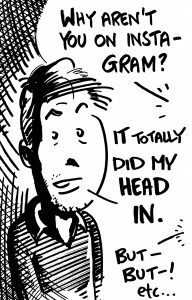 Loads of storyboarding work with more to come! My website has been give a radical overhaul as well, thanks to Ed Marno of The Web Marketeers, member of BNI Velocity in Covent Garden.